F8 IT Solutions have already been inundated with calls from clients reporting the issue this morning, due to lack of connectivity to their e-mail services and other websites. The outage has caused problems with DNS (one of the systems used by websites, services and computers so that they can talk to each other). Whilst the outage has been very disruptive to businesses this morning, the good news is engineers are working on repairing the service and here at F8 we have already seen a large portion of connectivity restored. Please note that no action will be required at the clients end and functionality will be restored automatically when BT have resolved the outage. 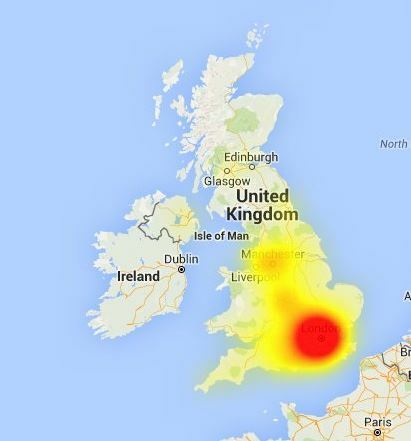 The map below shows the severity of the outage across the UK.